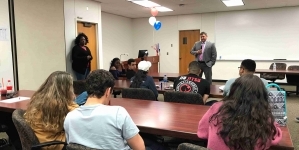 The topic of gun control and the Second Amendment and Gun was the center of attention at a Town Hall hosted by Valencia College’s East Campus and U.S representative Darren Soto (D), who highlighted his efforts to strengthen background checks and gun restrictions. 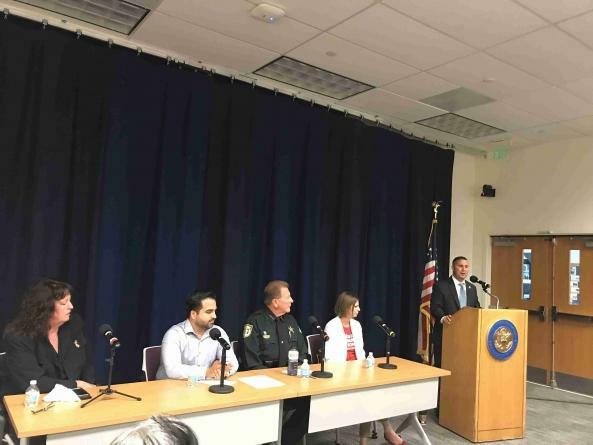 Soto, a supporter of a ban on assault weapons, high capacity magazines, and bump stocks, led the Town Hall along with Danielle Veillette, co-leader of the advocacy group Moms Demand Action, Osceola County Sheriff Russ Gibson, Ricardo Negron, the legal service coordinator for Latino Justice and a Pulse massacre survivor, and Elizabeth McCarthy, a physician from Orlando Health, who treated victims from the Pulse massacre. 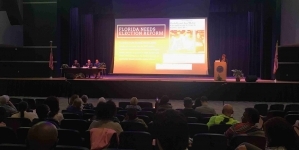 Constituents expressed their concerns regarding the interpretation of the Second Amendment, the Florida-based Stand Your Ground law, current actions by the Florida legislature to assure gun safety, and strategies to prevent school shootings. Negron emphasized the need to keep pressing government officials for immediate action after a shooting occurs. “I’m disappointed to see that after the terrorist attack in New Zealand, their government moves quickly to ensure safety, while in Florida we seem to be a step closer to have more weapons among civilians,” Negron said, referring to the Florida Legislature controversial provision on arming school’s staff under the Coach Aaron Feis’ Guardian program. After 17 people died in a shooting at Marjory Stoneman Douglas High School in 2018, former Florida Gov. Rick Scott (R) raised the age requirement to obtain a gun to 21 years old and the Florida Legislature passed the Marjory Stoneman Douglas High School Public Safety Act, which granted $400 million toward hardening schools’ physical security, police and school’s staff training, mental health, and opened a path to arm teachers on campus. Mental health took over the discussion as attendants navigated traumatic experiences related to gun violence. Recalls about the Pulse massacre in 2015 and the recent suicide of a 17-year-old at Lake Mary High School were made. 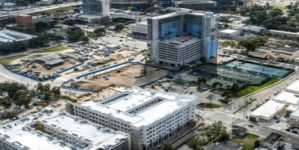 “That day [The night of the Pulse massacre] I removed 77 bullets from 32 people,” McCarthy said as she showed to the public bullets extracted from bodies. “That night was extremely hard because I am gay and those were my people.” The physician also spoke on Post Traumatic Stress Disorder (PTSD) that affects not only survivors but also nurses and first responders. Next week, the Florida Legislature will discuss expanding the Coach Aaron Feis’ Guardian program, which originally applied to staff who did not perform in-classroom duties to carry weapons, to making teachers eligible to carry guns in the classroom. Adrienne Egolf, a volunteer from Moms Demand Action, expressed her opposition to arming teachers and Stand Your Ground law as she said they would not contribute to reducing shooting in the state. Egolf also stated while it’s important to pay attention to mental health, she didn’t feel like it is the main cause of gun violence. “We support mental health funding but we know this is a gun issue. There is a common factor in all of these shootings and that is guns,” she said. 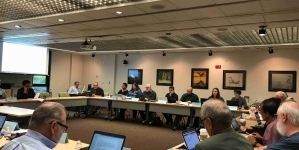 Soto applauded both attendants and panelists for their participation and interest in what he described as a “difficult topic” and urged the public to engage with the local legislators to achieve a gun reform soon.